[/fusion_text][/fusion_builder_column][fusion_builder_column type=”1_6″ layout=”1_6″ last=”yes” spacing=”yes” center_content=”no” hide_on_mobile=”no” background_color=”” background_image=”” background_repeat=”no-repeat” background_position=”left top” hover_type=”none” link=”” border_position=”all” border_size=”0px” border_color=”” border_style=”” padding_top=”” padding_right=”” padding_bottom=”” padding_left=”” margin_top=”” margin_bottom=”” animation_type=”” animation_direction=”” animation_speed=”0.1″ animation_offset=”bottom-in-view” class=”” id=”” min_height=””][/fusion_builder_column][fusion_builder_column type=”1_6″ layout=”1_6″ last=”no” spacing=”yes” center_content=”no” hide_on_mobile=”no” background_color=”” background_image=”” background_repeat=”no-repeat” background_position=”left top” hover_type=”none” link=”” border_position=”all” border_size=”0px” border_color=”” border_style=”” padding_top=”” padding_right=”” padding_bottom=”” padding_left=”” margin_top=”” margin_bottom=”” animation_type=”” animation_direction=”” animation_speed=”0.1″ animation_offset=”bottom-in-view” class=”” id=”” min_height=””][/fusion_builder_column][fusion_builder_column type=”2_3″ layout=”2_3″ last=”no” spacing=”yes” center_content=”no” hide_on_mobile=”no” background_color=”” background_image=”” background_repeat=”no-repeat” background_position=”left top” hover_type=”none” link=”” border_position=”all” border_size=”0px” border_color=”” border_style=”” padding_top=”” padding_right=”” padding_bottom=”” padding_left=”” margin_top=”” margin_bottom=”” animation_type=”” animation_direction=”” animation_speed=”0.1″ animation_offset=”bottom-in-view” class=”” id=”” min_height=””][fusion_text]Der „My Change Planner“ hat jede Menge unterstützende Tipps und Tricks, die helfen die vorgenommen Ziele zu erreichen und Projekte umzusetzen. Er motiviert das ganze Jahr über, 12 Monate, 52 Wochen und 365 Tage. Es gibt auch eine Verbindung zur digitalen Welt, da im analogen Terminplaner auch viele Links zu hilfreichen Webseiten und inspirierenden Videos führen. Es gibt motivierende Sprüche und Bilder die einen das Ziel nicht aus den Augen verlieren lassen. 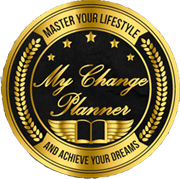 Und der „Lifestyle planner“ ist als einziger durchgehend vollfärbig und erscheint in Deutsch und Englisch. [/fusion_text][/fusion_builder_column][fusion_builder_column type=”1_6″ layout=”1_6″ last=”yes” spacing=”yes” center_content=”no” hide_on_mobile=”no” background_color=”” background_image=”” background_repeat=”no-repeat” background_position=”left top” hover_type=”none” link=”” border_position=”all” border_size=”0px” border_color=”” border_style=”” padding_top=”” padding_right=”” padding_bottom=”” padding_left=”” margin_top=”” margin_bottom=”” animation_type=”” animation_direction=”” animation_speed=”0.1″ animation_offset=”bottom-in-view” class=”” id=”” min_height=””][/fusion_builder_column][fusion_builder_column type=”1_6″ layout=”1_6″ last=”no” spacing=”yes” center_content=”no” hide_on_mobile=”no” background_color=”” background_image=”” background_repeat=”no-repeat” background_position=”left top” hover_type=”none” link=”” border_position=”all” border_size=”0px” border_color=”” border_style=”” padding_top=”” padding_right=”” padding_bottom=”” padding_left=”” margin_top=”” margin_bottom=”” animation_type=”” animation_direction=”” animation_speed=”0.1″ animation_offset=”bottom-in-view” class=”” id=”” min_height=””][/fusion_builder_column][fusion_builder_column type=”2_3″ layout=”2_3″ last=”no” spacing=”yes” center_content=”no” hide_on_mobile=”no” background_color=”” background_image=”” background_repeat=”no-repeat” background_position=”left top” hover_type=”none” link=”” border_position=”all” border_size=”0px” border_color=”” border_style=”” padding_top=”” padding_right=”” padding_bottom=”” padding_left=”” margin_top=”” margin_bottom=”” animation_type=”” animation_direction=”” animation_speed=”0.1″ animation_offset=”bottom-in-view” class=”” id=”” min_height=””][fusion_text]Warum kann eine Wunsch-Lebensweise so schwer umgesetzt werden, obwohl das Wissen über gesunde Ernährung, einem guten Lebensstil oder Nachhaltigkeit immer besser wird? Der Schlüssel liegt nicht im Wissen, sondern in mangelnder Umsetzung: zum einen zu wenig Ausdauer (persönliche Schwäche, „innerer Schweinehund“) und zum anderen zu wenig Support und Unterstützung, welche viele Menschen aber benötigen um in den „Challenge Modus“ zu kommen, der ein hervorragender Zielerreichungs- Booster ist.